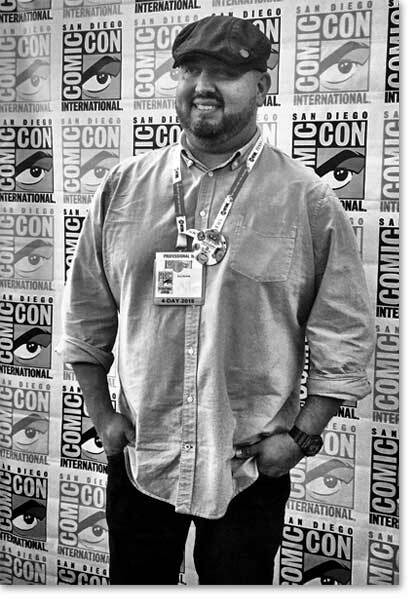 KICO VELARDE, well known as working with JAY LENO as a Producer for JAY LENO'S GARAGE among other notable accomplishments, has shown the film that he produced and directed – THE SHOOTING STAR SALESMAN – at Comic Con this year. 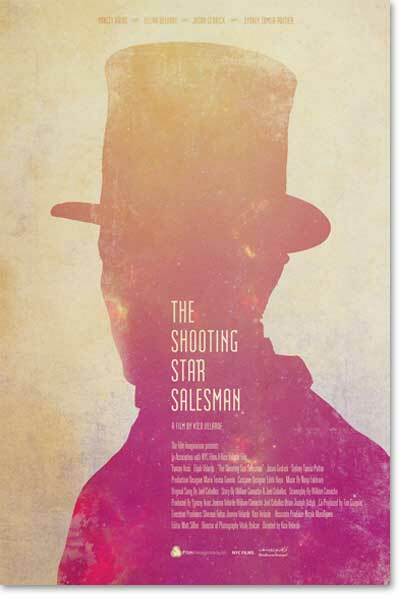 Kico sat down with Cultmachine's own duo reporters – SHANNON LUSTER & SHARON JORDAN – to discuss the impressive experience of showcasing The Shooting Star Salesman at this year's Comic Con. Read about this and more with talented filmmaker: KICO VELARDE. 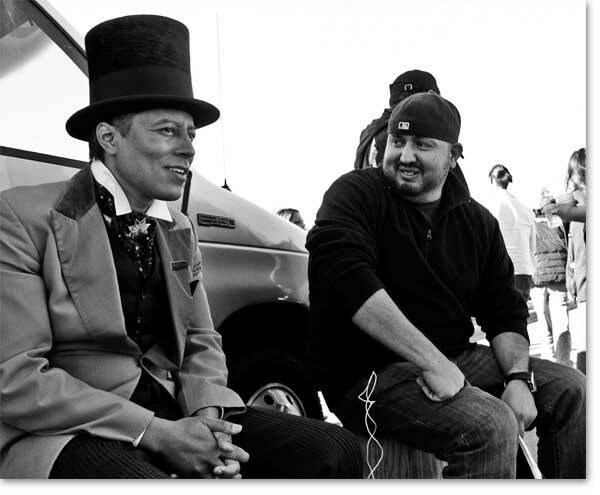 SHANNON LUSTER: The whimsical film you produced and directed - THE SHOOTING STAR SALESMAN- was screened at COMIC CON. What is your favorite memory at Comic Con? KICO VELARDE: It was my first time at COMIC CON ever. I've always wanted to go, but never had the chance to. So my favorite memory was just the sensory overload we all had when we arrived the day before our screening. There was just so much cool stuff happening everywhere. From amazing costumes to "I need to have that" merch covering every single square foot of the Convention Center. I could of sworn I heard angels singing as well walked in….but I realized it was the weeping angels coming from the DOCTOR WHO booth. 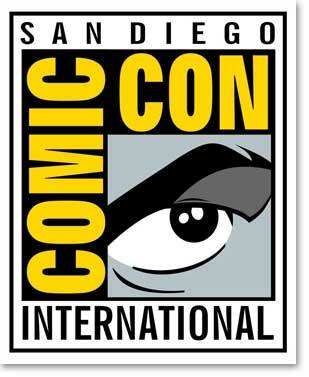 SHARON JORDAN: How did you prepare for Comic Con? KV: We wanted to print out posters to give out but it was way too expensive. One thing I did do was promote the screening using what I call 15 second micro-trailers on INSTAGRAM showing really short clips of the film with the films logo and the Comic Con logo at the tail. I also did the same thing with the behind the scenes video we have of the making of the film. These were really great tools to help build interest in the film for Comic Con. There were fast, straight to the point, and intriguing to fit the fast moving nature of social media. SL: You sat on a panel for THE SHOOTING STAR SALESMAN at COMIC CON. What are some of the questions from the audience that stood out to you? And why? KV: We had a lot of great questions. People wanted to know how we raised the funds to shoot the film, how we were able to get name talent to work on the indie project, how the project came together, how we came up with the story and they asked what ELIJAH's technique was to get into character. I think there were a lot of aspiring filmmakers in the audience who maybe in that weird space everyone gets into where you want to make a film but you tend to doubt yourself or your film maybe shot but it is sitting on a hard drive in limbo. Our over all message for the panel was if we could do it so can you. You just have to do it and make sure you see it all the way through. We also talked about the struggles we had finishing the film from finding finishing funds to people falling off the project towards the end. SJ: What advice would you give to filmmakers who would like to have their films showcased at Comic Con? KV: If you're going to make a film make a film with a story that you are going to be 150% passionate about. Don't make a film to try and get into a festival or Comic Con. Tell a story that you lose yourself in. When you do that it will carry you through all the many ups and downs of the filmmaking process. Your audience will feel your passion in the finished project and so will amazing places like Comic Con. Passion is like a virus…. it's contagious. So be the host. SL: What's next for KICO VELARDE? KV: I'm in the process of developing another short film and trying to make The Shooting Star Salesman into a feature film. I'm also looking for other scripts to direct and produce. WATCH BEHIND THE SCENES OF "THE SHOOTING STAR SALESMAN"
WATCH "THE SHOOTING STAR SALESMAN"
We would like to thank Kico Velarde for providing all photos used in this article.